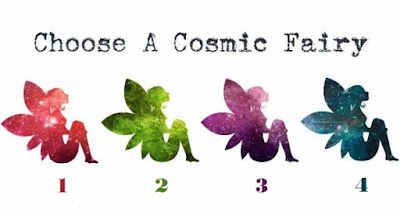 Enlighten Path: Choose A Cosmic Fairy To Know What Are You Attracting In Your Life Right Now? Choose A Cosmic Fairy To Know What Are You Attracting In Your Life Right Now? Have you ever pondered if Fairies were actually real? Well, they have found a place both in the Celtic and modern-day culture but not everyone has found faith in them but who do, swear by their existence and how they communicate with the human race and guide them to their highest path. They are the beginning milestone of the spiritual path that you are about to walk and will make sure that you stand in your own stride. These elemental creatures are full of life and also responsible for creating happiness in your life. They are messengers of Spiritual guidance and all they ask is your faith and trust. Remember Tinker bell from our favorite Disney movie? Well, she may be a fictional character but what makes sense is her request to never lose faith in her. This said let’s make this a little more interesting and find out what does your choice of cosmic fairy has in store for you and tell you what are you attracting in your life? You are quite serious and an energetic person – you are quite sensitive and love freely. However, people would not really know and understand you unless they are quite close to you and have begun to understand you up close. You come off as a strong and resilient person and others take lead from you. You are a soft person though beneath that tough exterior. You are attracting communication and intuition in your life. You might begin to have small ‘I told you so,’ moments and that will surprise you too. It is easy for you to tell people what they want to hear but you’d rather give them 'honesty' for their own good. You have a calling for green and are an environmentalist at heart. A park, a beach or mountains, nature is your calling and you would prefer to be amid nature than anywhere else. For you, it is easy to communicate with nature and you feel a deep calling from it too. Whilst you find solace among the trees you are also someone who let people easily in your head and one strong reason why you feel like getting away from humans more often than not. Right now, you are attracting growth and patience. You need to stop averting to change and let it all flow and fall in place for you. Let your life run on its own course, sit back and enjoy. You are a thoughtful and quiet person. It is easy for you to fall into the pattern of overthinking things and it might be the root cause of problems in your life. You are deeply connected to people and feel their pain and sorrow and you are also concerned about their well-being and happiness. You need to spend time with yourself and reconnect within, the lack of communication with self often leaves your anxious and restless. You are attracting opportunity and knowledge. Good things are knocking on your door and all you need to do is answer it. As you begin to pay attention to the little details, you will know the things are falling into place exactly how you have wanted them to. You are a person full of life, always laughing and smiling around. You like good jokes even at your own expense and sarcasm though, might have put you in a tight spot your charm always makes you work your way out. You are the life of the party and love to surround yourself with your dear ones. You are one person who would love to sit by the bonfire or spend an evening chilling with your friends. You are attracting challenges and understanding, this said you also must understand all these challenges are coming your way because your understanding is expanding and your life is taking a new turn. So, did you find your answer to what you are attracting in life?